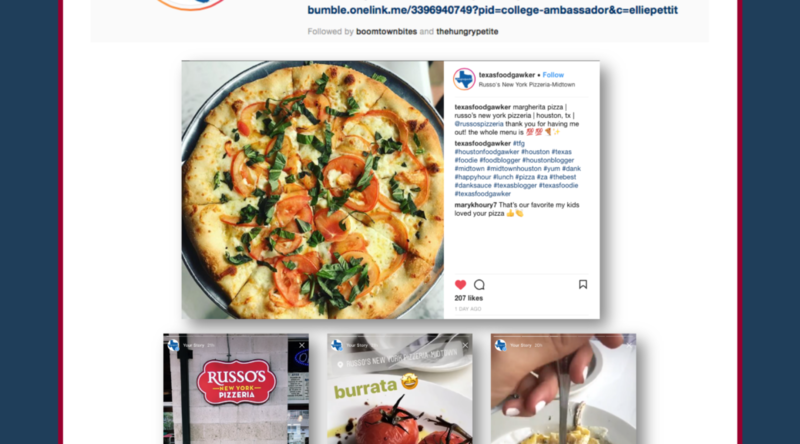 All Points PR secured a placement for Russo’s New York Pizzeria with social media influencer @TexasFoodGawker to promote Russo’s specialty menu items. A photo ran and reached the brand’s nearly 15K followers, and garnered hundreds of likes and comments. Coverage ran online.